Tremendous glass and metal sculpture. 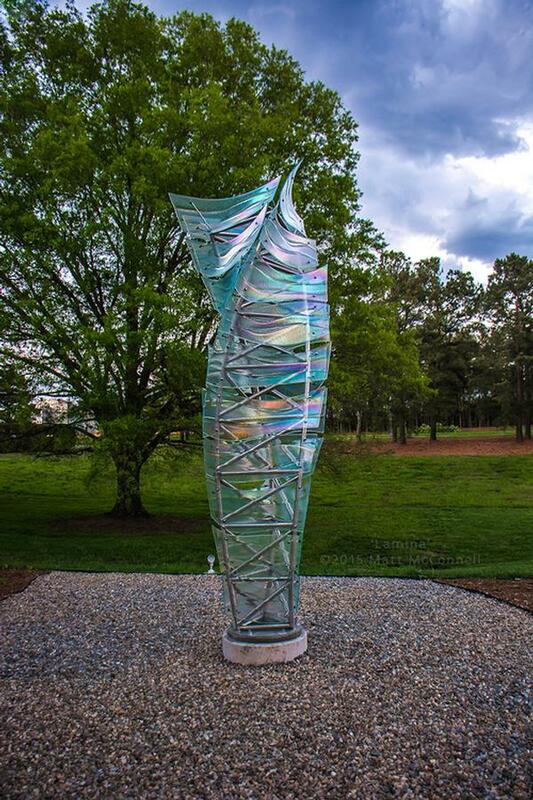 The curves and color of the glass elements in the form the steel sculpture results in a magical and awe inspiring piece of art. Even more spectular with added lights as the enhanced refelctions and colors create powerful statement. Create a truely unique and special focal point with a custom piece of art.